The world has changed since Pacific Garden Mission opened in 1877, but our mission of proclaiming the Gospel of Jesus Christ to men and women who find themselves attracted to the Old Lighthouse, for many reasons, has not changed. 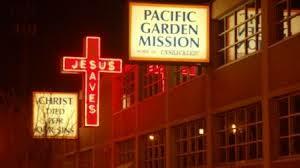 When faithfully praying and supporting Pacific Garden Mission, keep in mind what we represent. We are not represented by a modern building or a cutting-edge website but by the very lives that Jesus Christ is changing and transforming every day, in a Biblical way, right here. We are receiving no government support but are depending solely upon the people of God to reach more men and women here in Chicago and abroad. Yes, the mission at the “Mission” is the Great Commission. It is with a sure foundation in Jesus Christ through the power of the Holy Spirit that we continue on and make the necessary changes for us to operate successfully in a very complicated world. Our priority continues to be winning lost souls to Jesus Christ and transforming lives through Bible studies, classes, the Bible Program/Bible Institute, career development, and discipleship to address the holistic needs and equip men and women to fulfill the Great Commission. 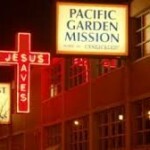 Everything we do here today is in support of this important mission and the principles on which Pacific Garden Mission was founded. It is no small task, but we know that Jesus Christ changes lives and can change the world. And He invites you to join us.